UNION — Vose Library is the fortunate recipient of a work of art from Joseph Fiore’s “Rock Paintings” collection. The artwork was a gift from the Maine Farmland Trust, in collaboration with the Falcon Foundation, according to a library news release. Joseph Fiore (1925-2008) was an acclaimed avant-garde artist known for his abstract compositions. He also was an environmentalist, drawing key inspiration for his art from the natural world. 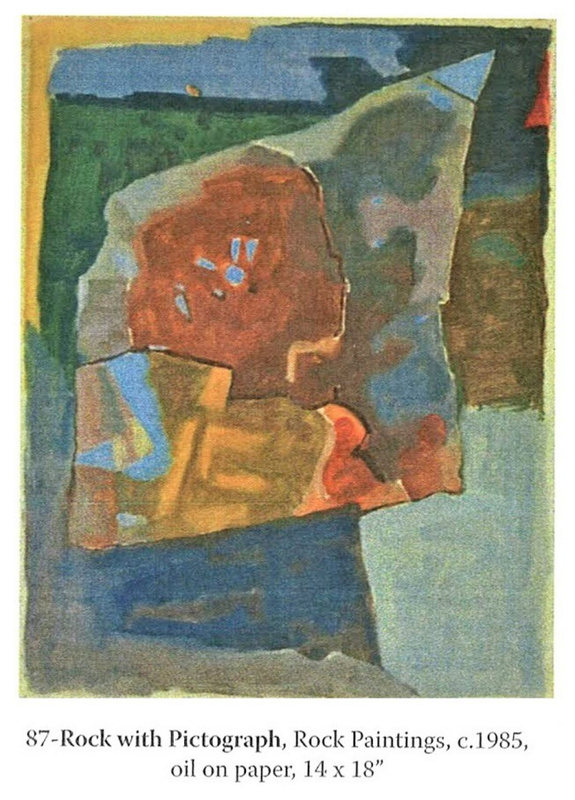 Between 1975 and 1987, Fiore produced a collection of Rock Paintings, also called the Geological Works, inspired by geology and rocks. According to the release, Fiore had a strong connection to Maine for 50 years, dividing his time between New York City and his farm in Jefferson. During his time here, Fiore was a generous supporter of the trust, a statewide membership organization that works to protect farmland, support farmers and advance the future of farming. After Fiore’s death, his estate continued that support, creating the foundation, which has been working with the trust to further Fiore’s dedication to the interconnection of art, farming and the natural world. The groups collaborated to create the Fiore Center at Rolling Acres in Jefferson, bringing together the worlds of art and farming through exhibits and education. In addition, the foundation provided artwork from Fiore’s “Rock Paintings” collection for the trust to gift to Maine nonprofits committed to the appreciation of Maine’s natural environment. Vose Library is honored to be chosen as a steward of Fiore’s artwork. The library will display Fiore’s artwork, “Rock with Pictograph,” above its Craftsmanship and Design Collection, which features professional-level resources for the artists and craftspeople of the area and across the state. “We are so pleased to have one of Joseph Fiore’s works in our library, where it will highlight the local connection between art, farming, and the natural landscape of Maine,” said Sue McClintock, Vose Library’s director, in the release. This generous gift should inspire all generations to appreciate and learn more about Maine’s geological history, rich farming tradition, and natural beauty. In doing so, it will enhance the library’s mission to advance learning, inspire curiosity, enrich lives and promote community. Vose Library is grateful to the trust and the foundation for providing the opportunity to share Fiore’s artwork and love of nature with its patrons and community. For more information, contact the library at 785-4733.